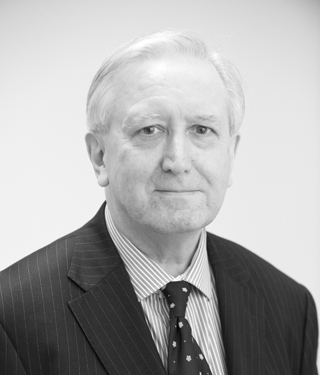 John Lofthouse is experienced in both criminal and civil law. He is Junior Counsel to the Treasury in Peerage and Baronetcy matters. He is an honorary member of the Criminal Bar Association of England and Wales. Civil matters undertaken have included constitutional law (in which he has wide experience as Treasury Counsel), judicial review, inquests, employment, landlord and tenant, and probate, as well as general common law cases. He has been involved in cases involving Royal Wills, MEPs’ privileges and immunities, and the effect of EU law in employment matters. Re Barony of Moynihan  1 FLR 113 – case in the Committee for Privileges of the House of Lords which included and element relating to the European Convention on Human Rights (ECHR). Shafi v. H.M. Senior Coroner for East Londin  1 WLR 640: Divisional Court of the Administrative Court: successful application for a frsh inquest in a case concerning death in custody in Dubai; involved important points of law as to inquests, and obtaining the fiat of the Solicitor Genrral in order to bring the proceedings. He has been involved in a broad range of criminal cases including murder and manslaughter, misconduct in public office, child abduction and serious sexual offences. He has had a particular interest in criminal cases involving civil concepts (such as attempted theft from a residuary estate (involving probate law), analysis of notional bank interest, intellectual property and trades descriptions, gross negligence manslaughter, and the impact of employment law on the admissibility of in-house interviews). In addition, he has acted in a number of cases concerning human rights, and abuse of process, as well as civil cases closely connected to criminal law – confiscation, condemnation, SOPO and ASBOs. He is experienced in judicial review in criminal matters and appeals by case stated. Regina v. Winchester Crown Court ex parte Forbes (heard and reported with Regina v. Manchester Crown Court, ex parte Macdonald  1 WLR 841) – another leading case on Custody Time Limits. Regina v. M.  1 WLR 824 – appeared for the Crown in the Court of Appeal in one of three cases on the question of the compatibility with the EHCR of the provisions for finding facts in criminal cases after a finding of unfitness to plead. Junior Counsel to the Treasury in Peerage and Baronetcy matters since 1989. In 2014 the Criminal Bar Association of England and Wales conferred upon him honorary membership of the Association.